Planning a trip to Berlin? This Berlin travel blog gives you all the information that you need for planning your trip to the German capital. We explain the best things to do, when to travel, what to pack, and what to buy. Berlin is a place like no other. Less sophisticated than Hamburg, not as open-hearted as Munich, yet with a rough and cool vibe that attracts more and more visitors each year. In Berlin you cannot just see history, you can touch and feel it with every turn. In the suburbs, new trends are created daily, mostly accidentally, just spilling out of grubby courtyards and cellar studios in an overflow of creativity. It is a relatively young German city (compared to places like Cologne or Coblenz) but has so many stories to tell that you just need to stand by and listen. From the early days of Prussian nationalism to the days of the Nazi regime, the devastation of World War and the division as part of the Cold War, Berlin is the perfect place for a crash course in European history. Alternative travellers and those that like to investigate off the beaten path will find plenty of cool and unknown places around town, including abandoned houses, street art, forgotten cemeteries and silent reminders of the horrors of war. 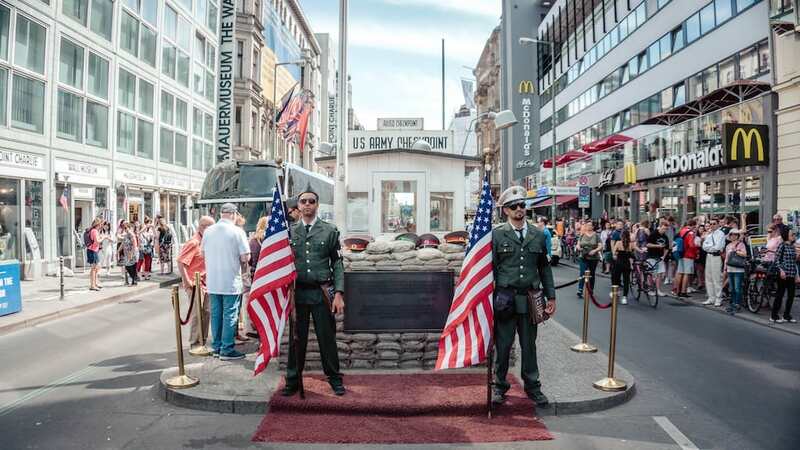 Checkpoint Charlie is the former checkpoint of two arch enemies, Russia and America. Photo by Yeo Khee. I first came to Berlin in 1999 and was immediately smitten with the cool urban vibe of the city, the old buildings along cobblestone streets, the many museums, the sidewalk cafes. As soon as I could, I moved there with my husband and we stayed in Berlin for three years. We then left for a job opportunity for Sydney, Australia. For the next fifteen years I did not return to Berlin, but I always knew that if I were ever to return to Germany it would have to be Berlin. Now that I have moved back I find that the city has everything I ever wished for in a city, and more. I wrote about my very deep relationship with the city here. 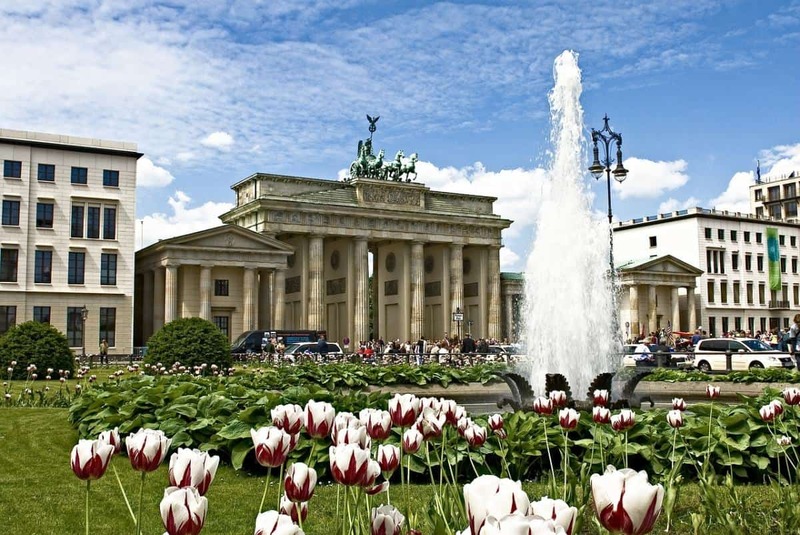 Most famous sights of Berlin can be found in the historic centre around boulevard Unter den Linden. From Brandenburg Gate, Reichstag and Holocaust Memorial to the other end of Museum Island, Berlin Palace (under construction) and Alexanderplatz, there is plenty to see within a relatively small radius. If you venture further, add to that the sights of Potsdamer Platz and Breitscheidplatz (the former City West), Tiergarten, and Hackescher Markt. 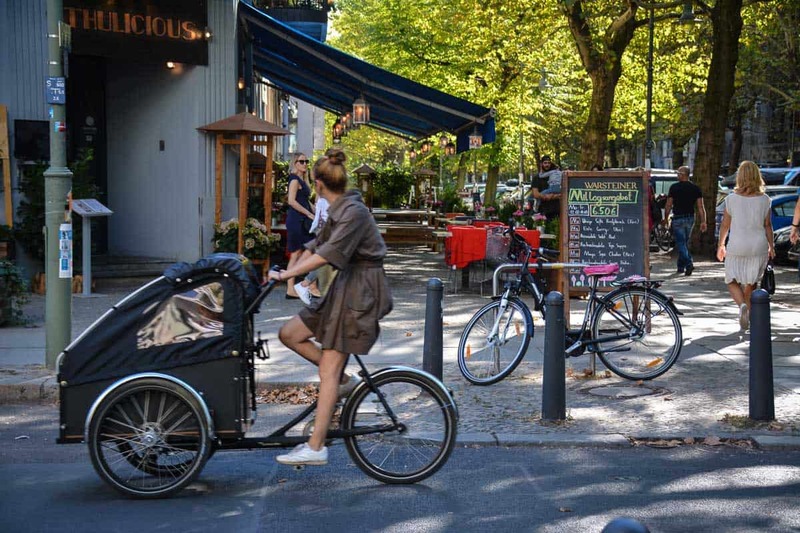 Explore how real Berliners live in the surrounding inner suburbs such as Kreuzberg, Friedrichshain and Prenzlauer Berg. Besides the world-famous museums such as Pergamon Museum and other museums on Museum Island, there are plenty more excellent art galleries and exhibitions to explore. The Story of Berlin takes you to an underground bunker, at DDR Museum (read here my review) you learn about life in Communist East Germany, at Computerspielemuseum you can play retro video games. Explore different aspects of the Berlin Wall and the Iron Curtain: Visit Berlin Wall Memorial in Bernauer Str. to see the death zone, see the open-air street art gallery at East Side Gallery (more here), and cross a former border checkpoint at Checkpoint Charlie. Berlin Travel Blog tip: Brandenburg Gate is always free to visit and an iconic symbol of German history. 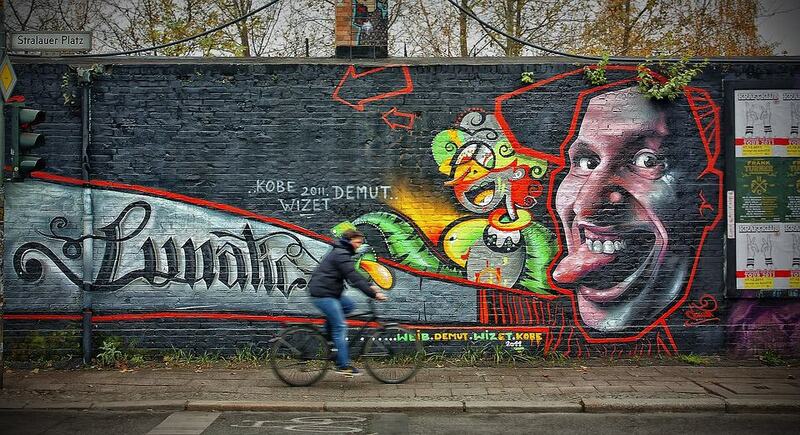 Street art is common in Berlin, from graffiti on house walls and political protest to curated art in open-air galleries and museums. Start your street art journey with a visit to East Side Gallery, then move on to the free Urban Nation museum in Schöneberg (read more about it here). Explore murals and other art in the various streets around Kreuzberg, keep an eye out for oversized murals along S-Bahn lines and on apartment blocks, and drink a beer in the courtyard leading to Anne-Frank-Zentrum near Hackescher Markt (more about it here). If you feel overwhelmed with everything that Berlin has to offer, check out my handy Berlin itineraries and lists. The best way to experience Berlin like a local is by visiting the suburbs such as Prenzlauer Berg (pictured), Kreuzberg, Wedding or Friedrichshain. Most bars and restaurants will open until late at night, so if you are after a quick bite or a cool drink, you will have plenty of options to choose from. Hotspots include Simon-Dach-Str. in Friedrichshain, Hackescher Markt in Mitte and Danziger Str. in Prenzlauer Berg. Most nightclubs can be found in Mitte, Kreuzberg and Friedrichshain (RAW), namely famous Haubentaucher, Chalet and Tresor. Techno music is still the soundtrack of a good night out in Berlin. Berlin has enough to offer for at least a week but if you would like to explore the countryside and the smaller towns nearby, that’s not a problem either. My top tip is the town of Potsdam which you can easily reach by public transport. Visit the maginicent royal palaces of Sanssouci and New Palais or go for a walk in the beautiful parks. Head to Oranienburg for a visit to Sachsenhausen concentration camp, best organised as part of a guided tour. Or explore the many lakes and nature parks in the surroundings such as Müggelsee, Stechlinsee (read about our frequent trips in summer here), or magical Spreewald. As a city, Berlin has just the right density to offer a variety of shops, bars and sights without feeling too crowded or too spread out. The sidewalks are so broad that most restaurants will also offer seating outside, turning streets and whole neighbourhoods into places where you can mix and mingle with the crowd until late at night. Not everything is pretty about Berlin, I am fully aware of that. Berliners can be pretty rude and abrupt, even those that work in customer service roles. The best way to deal with it is not to get upset and stand your ground. There is also a lot graffit around (as opposed to real street art) where I feel people could really keep this pointless scribbeling to themselves. Lastly, there are a few corners that are hotspots for pickpockets and scam artists, most notably near the bigger tourist sights – something that just makes me rather upset! 10 things that I think you need to do, or you haven’t really been to Berlin yet. Join a Spree and Landwehrkanal cruise and see Berlin’s sights from a different perspective! Riding a bike in Berlin is a great way to get around and see many different sights in one day. You will need good walking shoes, waterproof if visiting during a rainy time of year. Get yourself a purse that you can wear around your neck and under clothes to protect yourself from pickpockets. Other than that, leave some free space as there are plenty of shopping temptations around and prices are generally moderate. The summer months are particularly busy in Berlin and can mean that you will constantly have to queue for some reason or another. I am not surprised, it is indeed the nicest time of year to visit. However, if the weather gets too hot (like it did in the summer of 2018) don’t think the city will be prepared. Air-conditioning is not something you can expect – in shops, on public transport or in hotels. Shoulder seasons will be less crowded, cheaper in terms of accommodation prices. Check events for peak seasons and to plan your trip: There are plenty of street parties, light festivals, Christmas markets etc. to add to your trip but also let accommodation rates increase temporarily. There are many places to hang out in summer. One of the most popular ones is on the banks of the River Spree. Berlin in summer is just beautiful. Many Berliners spend very little time inside when the weather is nice. Meet them at some of the many outdoor venues where they cool down with beers and snacks. Some of these spots and beer gardens include Prater (Kastanienallee 7-9, 10435 Berlin-Prenzlauer Berg), Schleusenkrug (Müller-Breslau-Str. 14a, 10623 Berlin-Tiergarten) or Strandbar Mitte (Monbijoustr. 3B, 10117 Berlin-Mitte). Berlin is a big city that can get mighty cold in winter. This means that 1) you will have to use public transport to get around, and 2) you will have to pack clothes that match the season. The easiest way to use public transport by buying a daily pass that allows unlimited travel on all busses and trains for just EUR 7.00 per day. When travelling to Berlin in winter, prepare for icy cold winds, i.e. good jacket, woolly hat, gloves. Many visitors to Berlin are surprised to find that there are not a lot of “real” German restaurants around. As a matter of fact, you will get food from all corners of the globe in Berlin but not so much original local fare. The most “Berliner” food is definitely a street food: Currywurst mit Pommes, i.e. a bratwurst served with curried tomato ketchup, French fries and optionally mayonnaise. Also try Turkish döner kebab or a falafel as a vegan/vegetarian option. Berlin is a historic destination where you will easily find your own piece of Berlin Wall to take home. I strongly recommend browsing the local flea and art and designer markets for some unique and cool souvenirs as well, for example at Boxhagener Platz, Arkonaplatz, art market next to Zeughaus, and of course at Mauerpark. When visiting in the pre-Christmas season, get yourself a mug of glühwein (mulled wine) and take home the mug as a collectable souvenir (otherwise return it to the stall and get your money back). Christmas markets are also great places to find unique gift ideas. Also, check Ampelmann stores for these cute traffic light men that are a relict from East Germany. Berlin stores can be found near famous landmarks and in the big shopping centres like Alexa Mall at Alexanderplatz. In this detailed post I explain the fabric of Berlin, an extraordinarily decentralised city. I share with you what I know about the different parts of town such as Kreuzberg, Mitte and West Berlin, who would find staying in these areas suitable, and even suggest some cool hotels and hostels to stay in Berlin. Or alternatively, click here for a list of Berlin Hotels which have been rated “wonderful” by Booking users (Affiliate Link). All Berlin Travel Blog posts can be found here.